New to the forum but have been browsing for a while so kind of know my way around. My current setup is under performing for what i need so desperately looking at a more suitable solution. I currently have an asus ac68u router running merlin but with my vpn requirements is now heavily under-performing. normal setup - DNS, dhcp with static ips etc. Thinking of setting this up on low powered hardware so it doesn't cost an arm and a leg to run 24/7 and also would like to run this in an esxi vmware. Mainly because i also need a unifi controller for my Ubitquitti ac pro so would be good to run this on same machine. Any help and support would be really appreciated. Hopefully i haven;t bombarded you guys with too much info (or not enough). I don't know what your budget is but you are going to want something with AES-NI support going forward. I'm using an Intel C2558 (15 watts TDP) based board for a 100Mbit circuit used with openvpn and IPsec - you might be able to get away with a C2358 (7 watts TDP). If you look into the C2000 series make sure you're looking at new because there was a defect in earlier revisions. See Intel AVR54. Many of the currently sold netgate appliances are based on the Intel C3000 series so a big hint there. Well, your microserver is a bit old. (a 2011 model) 2 core cpu, up to 8 g ram and it needs something like 30 watts of power at least. (I suggest you grab a cheap plug type power meter from ebay and use it to measure total consumption). Having said that, especially for vpn performance you do need hardware offload of aes, so a newer cpu is needed. If you consider a new microserver the gen10 based on x3216 was a tdp of 15wats and supports AES too..
With a little bit more power you could also go for 4 cores and run a kvm for other things too. Thanks guys for the reply. It's kinda what I thought so wanted to check before I went ahead and spent lots of money trying to fix my old horse. The biggest issue I have with new hardware is that here in the UK everything is so expensive. I quickly looked at the c2558 at I'm looking around £400 for descent hardware which is well out of my budget for a router. I would be looking around £150 max. Ideally closer to the £100. I think I need to really look harder and shop around a bit for the best hardware and maybe if I can get other uses out of it I can probably increase the budget a bit. DISCLAIMER: I haven't set this up yet, waiting on shipment will update when arrived if everything worked out. I was in the exact same situation as you this past week. I finally decided on buying a laptop with a broken screen off ebay to put pfsense on. You can get these broken laptops really cheap (as-is) and they come with a bunch of built-in benefits. Look for one that has Gigabit Ethernet and at least one usb3 that you can plug in a usb ethernet adapter. I bought mine yesterday for about $80 USD shipped taxes inc. I only need to pick up an adapter (~$15 USD). Tips I learned for narrowing the search on ebay. Don't forget to include shipping + tax in your calculations. A laptop is an option, just make sure the fans work and take some time to clean it from internal dust. Laptops weren't designed to be always on devices, however without high load and descent cooling it will do the job. Get a cheap managed 5 port switch. It will give you 4 lans at gigabit speed with mininal power requirements and far greater stability. @netblues thanks for the tips! edit: does the switch sit between the router and modem? if not don't i need 2 ethernet ports for modem > router > switch? If you go for a pf solution, then most probably you will eliminate the router completely. Why do double nat to begin with? But there are other options too, please provide more info. In any case pf being a network box will be taking ethernet either natively or ppp over ethernet. Sorry where I said router i meant pfsense (laptop with one Ethernet). With the ASUS just acting as an AP. You mentioned getting a switch instead of usb ethernet adapter. 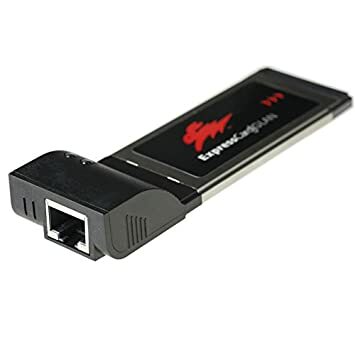 Since there would only be 1 ethernet port on the pfsense laptop both In(WAN) and Out(LAN) would be over the same cable so I would need some kind of tagging with the switch between the modem and pfsense. Right? If this isn't what you meant I apologize as I am quite new to the networking side of things. Ultimately the reason for switching to pfsense was because my ASUS router couldn't handle the OVPN connection. The laptop was because I didn't really have much budget and since it is a home network I don't need 100% up-time guaranteed a reboot every so often is fine. Well this is much more robust and straight forward, however I doubt it will be 150 quid with 2 gigs and an ssd. The managed switch will give you 4 lan interfaces for pf, effectively quadrupling the 1 laptop port. More than enough, as long as you are not routing among your lans moving large files around. (e.g. movies). So one port will talk to the modem, and one to your lan. The wifi is just a lan device. Having said that, perhaps you want to separate the wifi, use a captive portal for guests etc. You have two additional ports for that. A managed switch sells for $30 more or less, and will give you the joy of hassling with vlans. Not that difficult once you get a hold of it. As a solution is very robust and reliable. @no_jah Indeed. And there is a possibility it will also incur some customs fees, lets say another 40 quid? So we are not looking at 150. Moreover, the laptop has a screen and a ups. and of course laptop must to have pci express card 34 slot too. Anyway my first choiche for home office pfSense router is APU box , look great piece of hardware for my customers :D duh. Thanks for the replies, pretty sure I understand what is going on now. Do you have an example of a managed switch I could reference when looking for something similar? D-LINK DGS-1100-08. Retails at 32 euros, with 8 ports. A bargain. What you are looking is 802.1Q feature. Great thanks for the help guys! Definitely don't need anything too heavy duty 8 ports is plenty. If in the future I get more into the networking side of things or my needs change I can upgrade then. So the v3 hardware of those did have a firmeware update that was suppose to fix their utter lack of vlans.. Finally!!! But I do not have v3 hardware to test with only v2... But yeah in general I would stay away from that tplink line of cheap smart switches. Not love for the v2 hardware last time I checked which was maybe a month ago..
@Babiz Good to know, thanks for the warning. The D-LINK recommended above looks to be very good value compared to the others I'm seeing (about 1/3rd cheaper). Would I need PoE for anything? Probably not. Not unless you have devices that require PoE, typically wifi access points or VoIP phones. Even then they can usually be powered locally as an alternative. Yeah is enough trowing 30 bucks. for... I'm think about five years of life (EoF cycle) of this devices) ... or more?! Many factors get in playng for a good evalution. For my customers. I install just ubiquiti everywhere to all, for my home I go trought with some crappy and cheap devices, haha! I tell you @Brett-Tech . my tl-wa501n is indisctructible over years and years of streaming packets, absolute amazing if you think it. @stephenw10 @Babiz Thanks for your input. As you said I don't have anything without it's own power adapter nor do I foresee getting one in the near future. Unless you were going to put in a lot of camera's or AP - you can just use the POE ejectors.. Sure its always nice to have poe on your switch for future proofing, etc.. But unless you have current or real near future need of adding some poe stuff.. Save the money and use injector if you add some poe device. I want to add some camera's - when that happens I might get a poe switch to connect them all too.. Interested to hear what others think about it. I’ve also had a HPE 1820 PoE+ switch . Costs more but since they consider it enterprise (small business) it comes with limited lifetime warranty. I had HP replace one (faulty port) - no questions asked - and the replacement unit came with UPS express next day. Thats pretty good for a 200$ device. After all, for the same price of a PoE switch, i got more functionality with the NVR. I’ve had a similar setup with Esxi and you may be able to get away with your 2GB (4 would be better). I decided against using the N36L as it won't really be future proofed and the cost involved to get it up and running wouldn't justify the end. The comments on this topic have definitely been really helpful though!! I'm currently looking at either purchasing a prebuilt pfsense unit from aliexpress (some good units on there from one of the links posted above) or sourcing the components and using it as a mini project to have a play with. Going the dedicated hardware for pfsense rather than the esxi option now. Been reading through some other topics on here an google and it might not be worth the extra effort (and reliability). If your going to build something yourself, i might be a good idea to look at some second hand parts, for instance from Supermicro. If you like reliability you could get one of the negate appliances with the benefit of a purpose built platform and also supporting the project. I'd personally go for the 5100 as it has an intel CPU and no fan. However, for home use I think the price is prohibitive and I can see the appeal of the chinese mini PC's you mentioned. Even then I'd recommend going down the virtual path. I currently run my ESXi environment on an i5 with 8GB of RAM and a SSD. It quickly turned out that most of the resources simply go to waste. For my 50/20 connection all I need is 1 core and 1GB of RAM. Since then I have added another core as I have 4 IPSEC Tunnels and inbound OpenVPN connection. Initially I was reluctant about running pfsense virtual but gave it a shot anyway. In the beginning I used vt-d to pass through physical NICS into pfSense, but now I just use vmxnet3 without passthrough. There is no (noticeable) performance penalty. As I mentioned before - the advantages of going virtual is that you can better utilise your hardware by running other "Always ON" services on the same host. In addition I can scale pfSense resources up/down quickly as required by adding RAM and CPU as I need. Since I'm still learning pfSense and other software the virtual environment has another advantage. I can quickly stop and start different pfSense instances to try out various scenarios and thanks to vmware snapshots role back if required. @gcu_greyarea you have tempted me back into the esxi option. I have a dell optiplex 3040 which i don't really use much so tempted to switch that to esxi, convert the existing win 10 on it to virtual and add a dual nic. Just need to work out what its idle power is so i can decide if it will be expensive to run or not. Just going to buy a power meter to gauge how much it uses in its current state. Please report back on your power meter readings at idle. I would be interested in the results. If your Dell optiplex 3040 has the i5 CPU (Core i5-6500) then you"ll have 4 physical cores which give you 12 Ghz for ESXi. That's more than sufficient to run pfSense, Unifi controller & Windows 10. TDP for this CPU is 65W but for your use case it'll probably be lower. If you can afford/justify the expense you could get a UPS instead of a power meter. Go for the cheapest pure sine wave UPS with an LCD Display. The LCD Display will give you a reading of consumed power (in Watts) which is close enough. A power meter would be more accurate, but with a UPS you can safely shut down your ESXi host. On the market , there is many kind of "clamp multimeter" and maybe you don't need more expansive tool, but almost accurate for measuring energy flow (like Ampere scale from 1-5 milliAmps to 16-25 Amps) around 20 bucks is enough I think. Also I'm electrican for job, so I'm feel to write about this kind of stuff is my pleasure and safety rules in my job is an essential part. Well only for said this I'm go to bananas sorry for my poor english writing. In conclusion, according to me, one other way to check power absorbing is. looking at your Electricity Bill counter/meter device and get some Electricity Bill Calculator to figure it out. For example : when you take note of counter number above meter, and take it again after exactly one hous, well you get some kilowatts/hours number by difference. Bill meter if you don't know, is Some kind of "pulse" counter and basically one KW/hrs is a defined amount of pulses (may be change from region to region and type/model of meter) and more fast pulses/blinks equals to more energy absorbing in real time. So energy provider can remotely read your amount of kw/hrs generated trough time and other data transmitted from your root power meter (usually placed outside of bulding on wall or under defined technical room among same others meters) , indeed you can also check this easy way if you are householder and paid energy bills. Just buy a power consumption meter. As for using a clamp meter or a multimeter for power measurements, well, leave that to profesional electricians. Definitely not worth the hassle/danger.